The S9190 Quad Wireless Receiver offers four channels of uncompromising audio quality and features in a space efficient rack size unit. Rugged yet lightweight and compact, the 2RU rotational molded chassis houses four independent receivers that can be used simultaneously, each with 16 channels of selectivity, audio and RF indicators, volume control, and a balanced XLR connector with summed output. Use as a built-in rack mount or portable system. Used in schools, universities, restaurants, bars, hotel conference rooms, conventions, corporate boardrooms, churches and more. 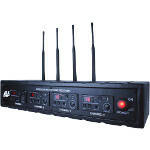 Four UHF wireless receivers in a single rugged 19" 2U roto-molded rack mountable housing. 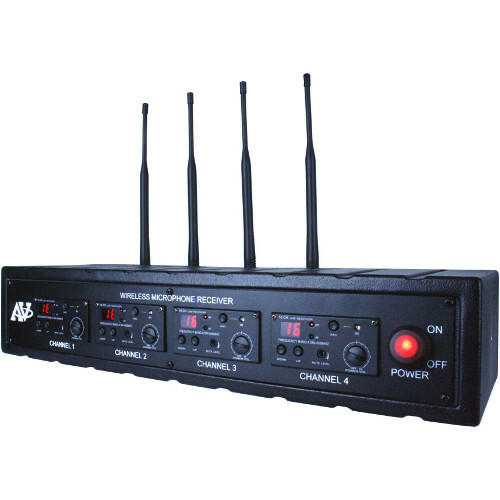 Works with any four combinations of handheld, lapel or headset AmpliVox wireless transmitters. 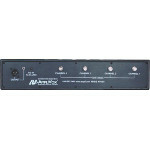 Front panel LED indicators for TX and AF with separate volume; and external adjustable mute control for each receiver. Operates on the UHF frequency band from 584-608 MHz. Externally powered with DC adapter included. 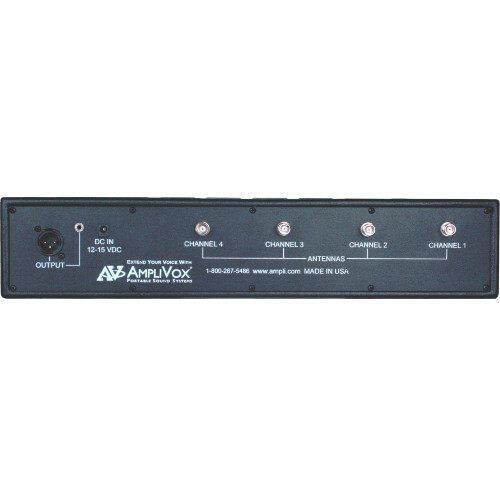 AC Power 100-220V Auto sensing, 50/60 Hz.